Home > Realty - Rent > Retail Rents Remain Flat Across Key Indian Cities..! Retail Rents Remain Flat Across Key Indian Cities..! Retail rents for the most expensive locations in shopping centres remained relatively stable in 1Q17, with the aggregate Asia Pacific retail rental index edging up by 0.4% q-o-q. 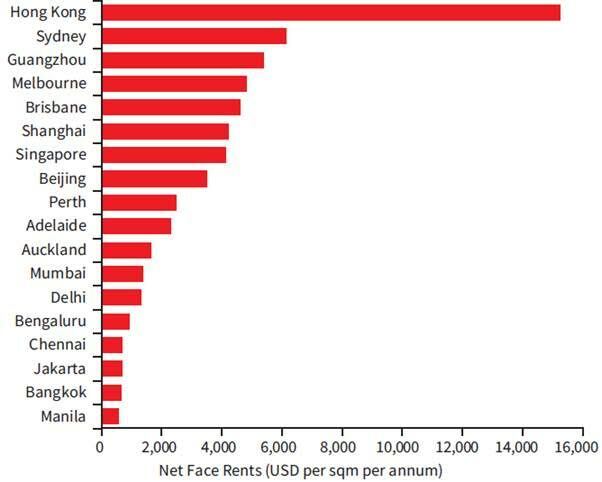 Of the 18 featured markets, almost all markets – including most sub-markets of Indian cities – recorded flat rents. Marginal appreciation of 0.5-1.5% q-o-q was recorded in select sub-markets of Delhi-NCR and Mumbai. Of the four Indian cities featured in the APAC study, three – Mumbai, Delhi and Bengaluru – figure among the top-15 markets while Chennai sits outside of the top-15. Rentals of prime south areas were considered for both Mumbai and Delhi while prime city rents were taken into account for both Bengaluru and Chennai. The dichotomy seen in Indian retail rents continued in 1Q17, with high quality shopping centres continuing to outperform their average counterparts. The former also continue to attract foreign retailers. For e.g., Scotch & Soda, a leading Dutch brand, made its debut in India in 1Q17 with a store each in Delhi and Mumbai. Other international retailers such as H&M, Gap and Marks & Spencer continue to remain in expansion mode, enticed by the country’s strong long-term prospects. Going forward, single-brand retailers (mainly fast fashion) and F&B operators are expected to be the primary drivers of demand in the country’s retail markets. Another trend over recent years in India has been the changing preference of several retailers towards the revenue-sharing model instead of the older fixed-rent model. Revenue-sharing models typically followed by malls place different retailer categories in different brackets, for e.g., 12-25% for F&B tenants; 9-18% for vanilla spaces; 7-9% for anchor tenants; 3.5-4.5% for hypermarkets and 3-3.5% for electronics’ retailers. Rents considered here are average net face rents for prime level locations in the best prime shopping centres and on a net leasable area basis. Net face rents are calculated excluding the tenant outgoing costs and landlord incentives are not taken into account. The most expensive locations in shopping centres can garner rents in excess of three or four times that of the average mall level. Limited available space due to strong demand and a lack of new additions in the most expensive and central locations contribute greatly to the rental gap. A higher level of sales activity and increased brand exposure are core reasons retailers seek those locations.